According to the latest information available, poverty in Afghanistan has increased. 39% of the population were living under the poverty line in 2013 - 2014 and the trend is continuing. This increase is mainly due to the deteriorating security and poor labour market conditions. According to UNOCHA in its Humanitarian Needs Overview of 2017, Afghanistan remains one of the most dangerous and most violent, crisis-ridden countries in the world. The continued deepening and geographic spread of the conflict has prompted a 13% increase in the number of people in need of humanitarian assistance in 2017 (now 9.3 million). In addition, an estimated 6.25 million people are in need of essential health care services in Afghanistan. Approximatively 55% are children less than 18 years old. The Terre des Hommes Organization (TDH) has been active in Afghanistan for over 20 years to provide better access to health. Its actions are carried out through a Mother and Child Health programme for the most vulnerable population and through assistance to children and families, to prevent violence, protect the victims, increase access to rights and fulfil basic needs. Terre des Hommes interventions have reached more than 110,000 people in 2016. Within the scope of its child protection action, Terre des Hommes has been seeking to improve access to specialised healthcare and signed a partnership agreement with La Chaîne de l’Espoir in the summer of 2016. La Chaîne de l’Espoir (Chain of Hope) was founded in 1994. It has created a network of medical and surgical expertise and is actively engaged in long-term projects in 28 countries. Its mission is to provide access to healthcare and education to the most destitute children, their families and communities. 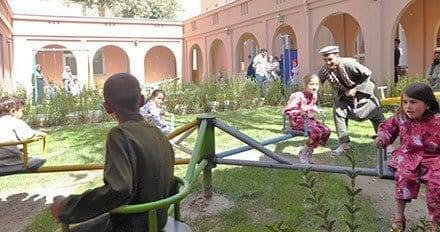 In 2005, La Chaîne de l’Espoir built the French Medical Institute for Mothers and Children (FMIC), a non-profit hospital, in Kabul (Afghanistan). In 2008, the Children’s House project was launched to guarantee access to the specialised healthcare provided by FMIC in Kabul to the most vulnerable children: cardiac, orthopaedic, plastic, general, Ear Nose Throat (ENT), neuro, ophthalmic and dental surgery. Children are transported from their province, hosted at the Children’s House with one relative and treated for free at FMIC. Over the years, the volume of activity has tripled with more than 300 patients each month. At the end of March 2017, more than 6,000 vulnerable children have been treated. This success has been made possible with the help of 20 dedicated local staff and a large network of partners, such as Terre des Hommes, who identify children in need of complex and essential surgical care in the provinces. During the first quarter of 2017, Terre des Hommes referred 24 children to La Chaîne de l’Espoir. The children came from Kabul, Nangarhar, Kunduz, Paktia, Parwan and Ghazni provinces. They have essentially received assistance through Terre des Hommes humanitarian support programme, and as such were either children displaced by conflict or Afghan refugees returning from Pakistan. Mujtaba, is one of the 6,000 Afghan children treated for free since 2008 at FMIC through the Children's House. He is a 10-year old Afghan boy born in Ghazni with a congenital disease causing respiratory tract infections. Because of that disease, Mujtaba couldn’t breathe properly and his disability prevented him from living a normal life like any other child of his age. Nasim, Mujtaba’s father, works as a daily worker and is so poor that he could not afford the surgery that his son needed. Thanks to the support of both Terre des Hommes and La Chaîne de L’Espoir, Mujtaba was admitted to the French Medical Institute for Mothers & Children in Kabul on 8 January 2017 to receive ENT surgery called adeno-tonsillectomy that would fix his disability. The surgery went well and Mujtaba quickly recovered. Today, Mujtaba is happy and enjoying his new life, running and playing with his friends. Terre des Hommes and La Chaîne de l’Espoir are very proud of their successful collaboration. We hope to be able to continue caring for children in Afghanistan.